For a full list of all menu items and prices, click here. Plate Lunch - includes one entree, two sides, and choice of small milk or bottled water. Cost is $3.75 for K-5 and $4.75 for grades 6-12. Plate Lunch Special - includes two entrees, two sides, and choice of small milk or bottled water. Cost is $5.75 for grades 5-12 only. Grades 6 - 12 may purchase additional entrees, sides, desserts and large drinks at additional cost ranging from .50 to $4.00. K - 5 may purchase desserts on Fridays. A grab and go breakfast is offered from 7:00am – 7:35am. Breakfast prices are a la carte. There is no food service on half-days. Parents may preload student accounts, and the cost of the meal will be deducted from the student's account. Account balance and menu items purchased can be monitored through Parent's Web. If there is a negative balance, the student will not be able to charge a meal, and the parent will be notified of account deficits via email. 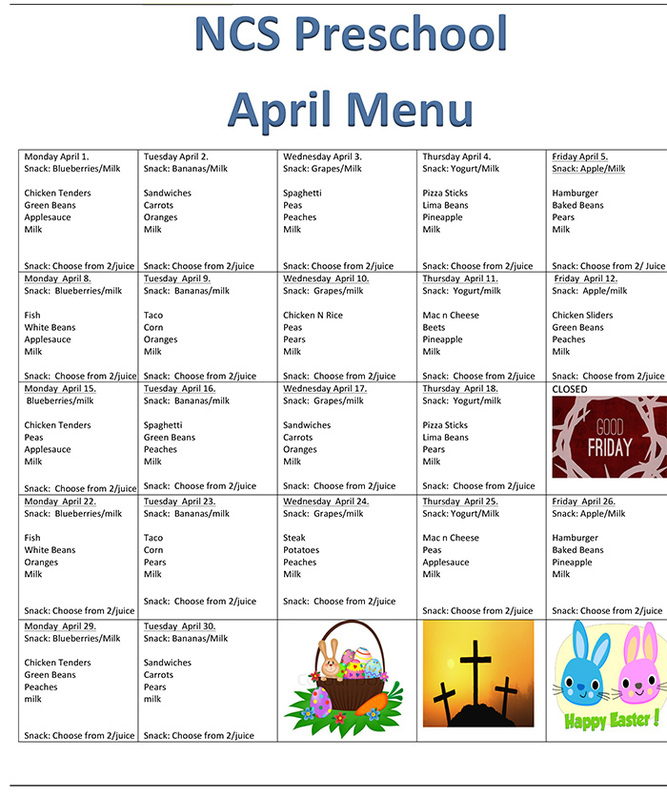 For Preschool menu, click here.